Should you decide to "drop in" by parachute, we recommend that you target the middle of the driveway, deftly avoiding cats, cars and assorted brigands! 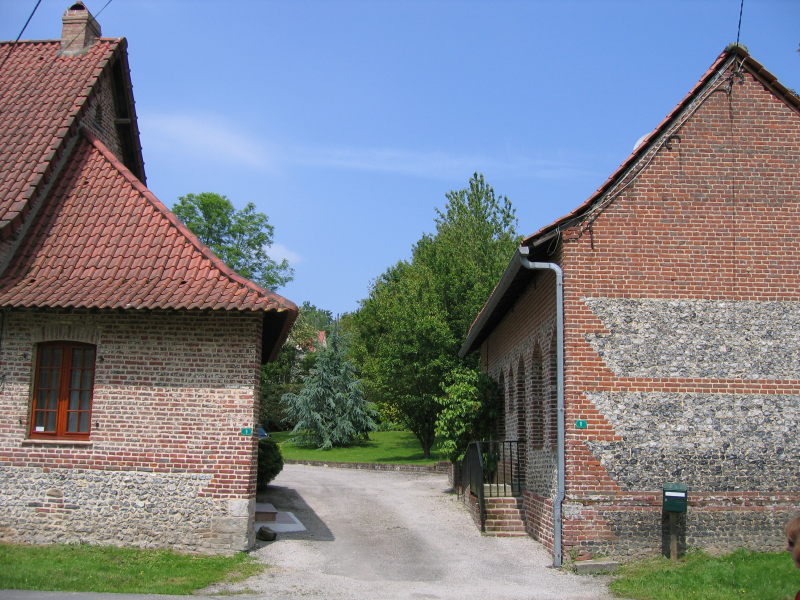 That's the guest-house/"gite" in the top left corner and the long vertical extension on the lower right is the stable block... the main lawn and les petits bois are to the right of the right-hand lawn, while the river flows from top-left to right (the southern boundary). The official front door is the one in the large white wall, right-of-center. Again, the stables extend to the right.